That includes everything from homework, dress code, social media behavior and drugs and alcohol. Yep, she's 14 and we talk about drug and alcohol use and abuse because this is life. It's not like when I was a kid and we had D.A.R.E and parents thought seeing a "this is your brain on drugs" commercial would be enough of a deterrent. And it's not like we just have the "hard drugs" to worry about anymore either. Nope, they're getting high off of cough medicine. Cough medicine y'all. The stuff we used to run from. These kids are flocking to and abusing. But not on my watch. Do you know that approximately 1 in 30 teens has abused OTC cough medicine? Yeah me neither. I had an idea that it could be abused thanks to a fun encounter I had as a teen and the popularity of "Sizzurp" when I was in college but I thought that ship had sailed. One week I was really sick, and took it upon myself to medicate and get the right dosage. Except that I didn't. I'd forgotten I had taken a Tylenol (or something to that affect) earlier in the day and went over about 1/2 ML in dosing the Nyquil I was hoping would relieve my symptoms and let me sleep. I was so wrong. I have a hazy memory of the phone ringing and talking to my brothers girlfriend and my heart beating like crazy and that's it. I just felt so out of it and I could not figure out why. That had never happened before. My father, a doctor, later confirmed I was indeed high and was lucky I didn't have a stronger reaction. Ever since then I've been really adamant about not mixing meds and reading all the Drug Facts Labels. That's why this year, I'm all in when it come to supporting Stop Medicine Abuse campaign to help spread the word among parents. When you look at the numbers it will make you rethink where and how you stockpile your medicine for the "seasonal sickies" while keeping an eye on the level of meds in the bottle. And to be fair, it may not even be your kid that you have to be concerned about, it could be a friend of theirs. If you store medicine in your children's bathrooms, you might want to reconsider if you have teenagers who have friends over and have access to these meds. DXM or Dextromthorphan is the active ingredient in most OTC cough medicines and some teens use it to get high. Some nasty side affects of abuse are vomiting, rapid heartbeat and loss of motor control. I encourage all my parent friends to look out for the PARENTS icon on cold and cough medicine packaging. That icon will direct you to StopMedicineAbuse.org where you can learn more about teen abuse and how to prevent it. 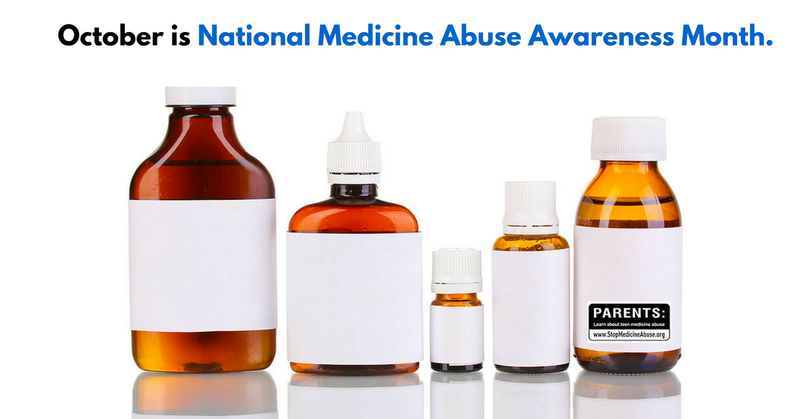 Have you talked to your teens about cough medicine abuse? How did you address it?